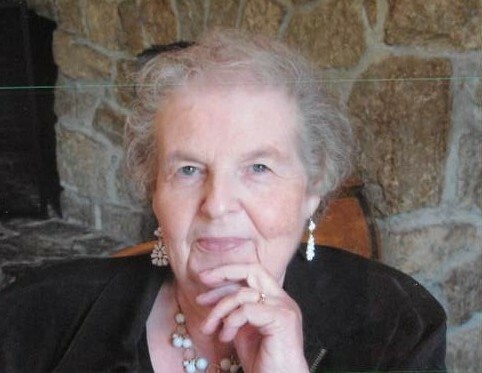 Obituary for Joan Wood | In Memoriam Funeral Services Inc.
JOAN WOOD was called home on July 19th, 2018 at the age of 87. Born at home in Galt, Ontario on June 8th, 1931, Joan was the daughter of the late Richard and May (Templeton) Wood of England. Throughout Joan’s life she worked as a switchboard operator at Bell Canada, Dobbie Industries and the University of Waterloo. She was an entrepreneur, owning two of her own businesses; a linens store on Dixon Street in the 1960’s, and Blue Jays Ceramics in the late 1970's. She added her creativity to all that she touched. She often volunteered her time and talents to beautifully decorate local businesses, Cambridge Memorial Hospital and her church, The Cambridge Vineyard. Joan will be lovingly remembered for her quick wit, infectious laugh, creativity, unwavering faith in God and her devotion as a Toronto Blue Jays fan. Joan will be sadly missed by her daughters – Jody Lynn McCartney, and Jacqueline/Jackie Lee Cherry; her son in law Allan Cherry; Grandchildren (who fondly called her Gramma Wood): Amber (Ashlee) Manning, Brooke (Adrian) Langdon, Danielle (Jeremy) Brubacher-Leclair, Alaynna Cherry (Sid Vanderwilp), Dustin Cherry, Taylor Bronson, and Kyle Bronson, and great Grand Children: Elam, Garrett, Autumn, Mitchell, Jaxon, Ainsley, and baby girl Vanderwilp (due in August). Besides her parents, Joan is predeceased by her sisters Evelyn (Gray) and Ina (Rosenburg), and a daughter who passed in infancy. A celebration of Joan Wood’s life will take place on Sunday, August 12, 2018, 2pm, at the Cambridge Vineyard Church – 147 Elgin St. N.
Donations will be accepted for Urban Hope c/o Cambridge Vineyard at the service. In Memoriam Funeral Services Inc. has been given the honour to serve the Wood Family.